1.) 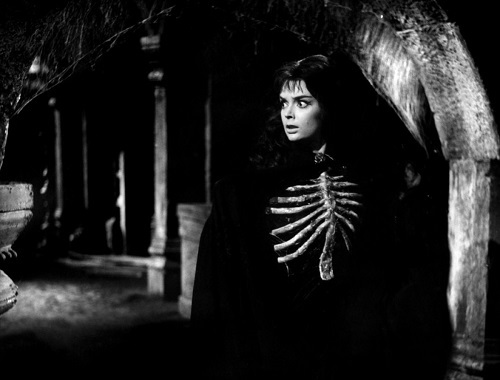 Black Sunday (1960) - This gorgeously gothic tale opens with a witch being brutally tortured, but before she dies she unleashes a curse and vows her revenge on her own family that betrayed her. 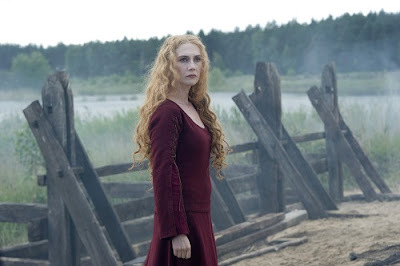 She is resurrected years later and begins taking her revenge on her descendants. I love this film by Mario Bava, it is just dripping in atmosphere and Barbara Steele is fantastic as the witch as well as her descendant. If you dig gothic horror, this is your jam! 2.) 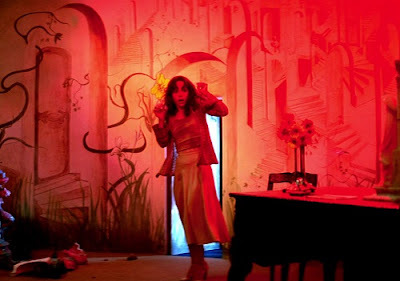 Suspiria (1977) - A young woman attends a prestigious ballet school that has seen some rather grisly murders, and begins to suspect that witches are behind these violent killings. This film by Dario Argento is one of my favorite horror movies. It is drenched in a kaleidoscope of colors, and watching it is kinda of like looking through a kaleidoscope as it is psychedelic and transitioning from one gorgeous set piece to the next. Even the murders themselves are beautiful! Argento would continue his witch theme through two other films, Inferno and Mother of Tears (more on those below), and I love the witch backstory in all three! 3.) The Witch (2016) - In 17th century New England, a family is banished to the edge of the woods, where their family and religious life slowly comes undone when witchcraft within the family is suspected and an evil presence is sensed in the woods. I love everything about this film, from the historically accurate set-design, language, and clothing to the unsettled feeling it gives you to the eerie music used throughout. Excellent witch films like this make me pine for more historical horror films of this caliber. Read my review of the film here! 4.) Hocus Pocus (1993) - Three witch sisters who seek eternal life by sucking the souls of children are resurrected on Halloween night by a virgin lighting the black flame candle in Salem, Massachusetts. The virgin, his sister and his crush must find a way to stop the witches before the sun rises. Ha, that description sounds like it could be a horror movie, right?! Well, this fun Disney film is not that spooky, but it is one of my absolute favorite Halloween and witch movies! 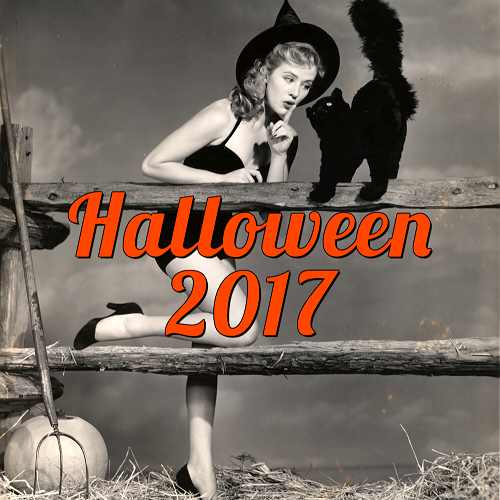 It is just so much fun, has so much silly charm, and its Halloween atmosphere is top-notch. 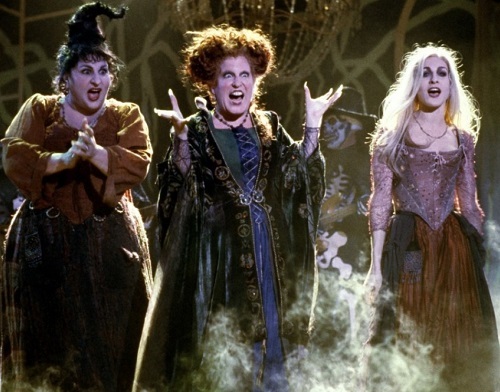 I still need to find two others who will dress like the Sanderson sisters with me for Halloween! 5.) 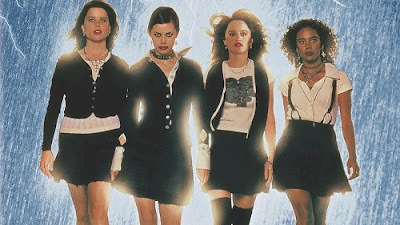 The Craft (1996) - Four high school outcasts form a coven and start experimenting with casting spells, soon getting everything they every wished for. However, their powers soon start spiraling dangerously out of control. I was in junior high when this came out, and what teen didn't love this movie when it came out?! 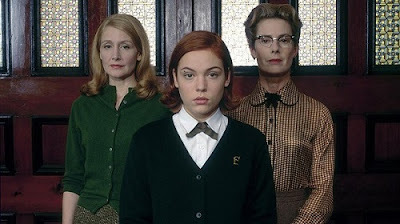 I still remember swooning over the dark fashion in this movie, even wanting to attend Catholic school so I could wear the uniforms, haha! I still love re-visiting this movie, it is such a nostalgic trip down memory lane. 6.) 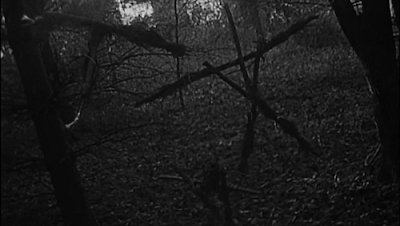 The Blair Witch Project (1999) - Three film students vanish after traveling into a Maryland forest to film a documentary on the local Blair Witch legend, leaving only their footage behind. I remember watching this film in high school when it just came out and due to their brilliant marketing campaign, not knowing whether it was real or fake. 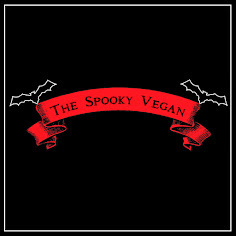 It definitely left an impression on me and helped spark my love of all this spooky. It still holds up today and is so much better than the horrible 2016 sequel. 7.) Halloween III: Season of the Witch (1982) - Kids all over America want Silver Shamrock masks for Halloween, but Silver Shamrock owner Conal Cochran has sinister plans for them on All Hallows' Eve. 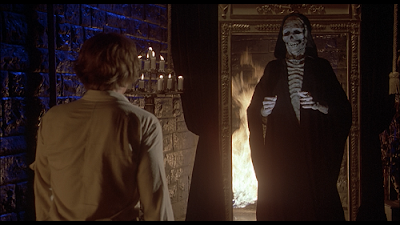 This film has a rare evil warlock (i.e. 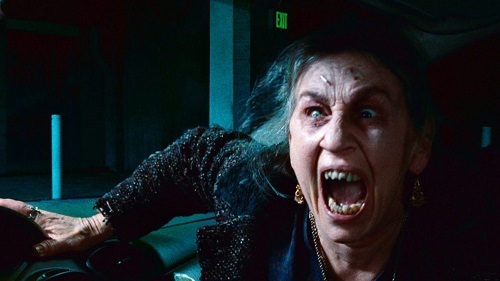 male witch) and it is one of my favorite films to watch around Halloween. I totally dig that it is the one Halloween film missing Michael Myers (originally the Halloween series were supposed to have stand-alone movies that were all unrelated but set on Halloween - sigh, I wish that had become a reality). I love that the threat in the film is dark magic harnessed from Stonehenge itself! 8.) 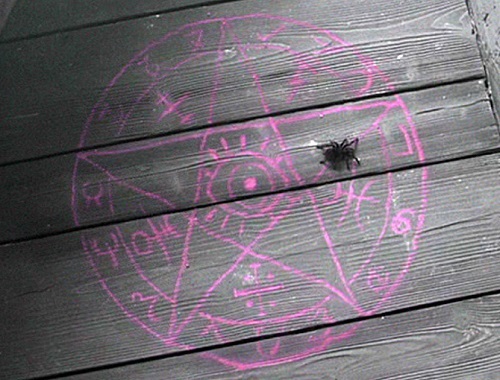 The Lords of Salem (2012) - A radio DJ in Salem, Massachusetts is plagued by nightmarish visions of vengeful witches after she plays a record by a mysterious group known only as The Lords. This is my favorite Rob Zombie movie and pretty much the only film of his I really, really like. I love the backstory and the disorienting imagery used throughout. 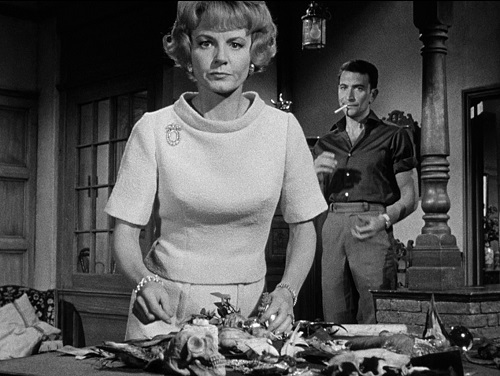 The low, droning music sets an unsettling tone that lasts throughout the whole film. 9.) The Love Witch (2016) - A modern-day witch uses spells and magic to get men to fall in love with her, in a tribute to 1960s pulp novels and Technicolor melodramas. I finally saw this film recently, and absolutely adored it. 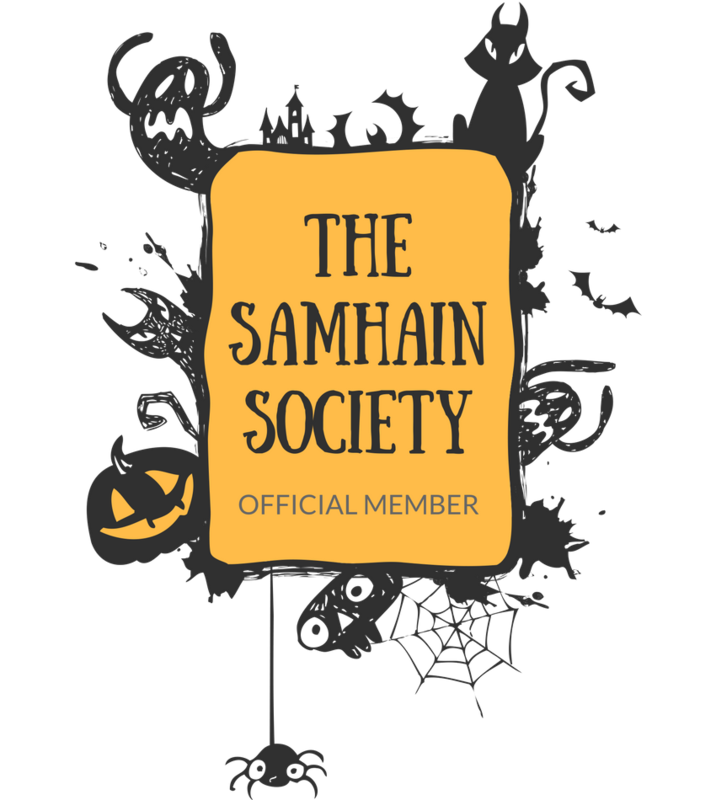 It's quirky, it's gorgeous, and it's so much fun and full of witchy goodness! If you are in Southern California, there is a screening of it on Sunday, April 30th you don't want to miss - check out more info in an earlier post here! 10.) Inferno (1980) - The second film in Dario Argento's "Three Mothers" trilogy tells of a young man that investigates his sister's mysterious disappearance in an old New York apartment building and uncovers a plot of alchemy and witchcraft. This is another visually stunning film from Argento that relies more on looks than a developed storyline. It isn't as beautiful as Suspiria, but it has many memorable scenes (the underwater ballroom scenes in the beginning are what I always think of!). 11.) The Woods (2006) - A troubled girl is sent to an isolated boarding school in 1965 and discovers many of her classmates are going missing as well as mysterious happenings in the woods. She soon begins to believe that witchcraft may be to blame for the strange occurrences. I feel like this movie is an often overlooked gem, but I really dug this Lucky McKee film (it even has Bruce Campbell in a small role). 12.) Witching and Bitching (2013) - Jewel thieves flee into the Basque forests and are captured by a coven of witches. 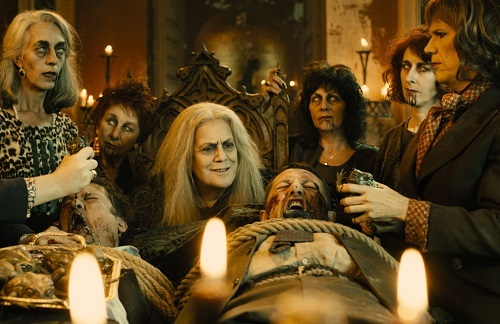 This madcap Spanish film is full of hilarious humor and some kickass, evil witches! It's a whole lotta fun, and should definitely be seen by more people. I'm pretty sure it is still on available to stream on Netflix. 13.) The Devils (1971) - In 17th-century France, Father Urbain Grandier seeks to protect the city of Loudun from the corrupt establishment of Cardinal Richelieu. 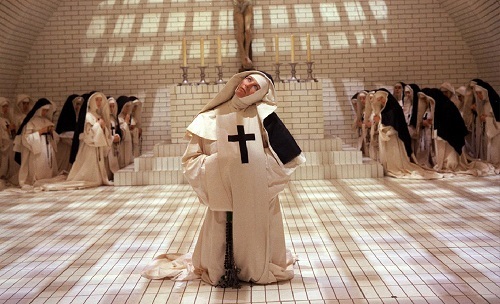 Hysteria occurs within the city when he is accused of witchcraft by a sexually repressed nun. This film was notorious for years (and still remains rather infamous) for its disturbingly violent, sacrilegious, and sexual content and was unavailable for many, many years. It only was recently offered by the streaming service Shudder. I had seen a bootleg of the film a few years ago, and while it is no doubt a challenging watch, it is also filmed beautifully and the cinematography is just gorgeous. It is also loosely based on a true story, which shows the corruptibility of politicians and how tragically sad witch-hunts were (and still are). 14.) Burn, Witch, Burn (aka Night of the Eagle) (1962) - This film was based on the novel Conjure Wife by Fritz Leiber and tells of a skeptical college professor that discovers his wife has been using charms and spells to gain him success and keep him protected. He doesn't believe her when she tells him these protections are keeping him safe, and forces her to destroy all her talismans, after which his luck seems to take a serious turn for the worse. I really loved the book (and still have an old copy), and I enjoy the film as well and appreciated that they stayed fairly true to the book. I also like how witchcraft is shown in a normal, ordinary household setting instead of a castle or forest like you would typically expect. 15.) Drag Me to Hell (2009) - A loan officer who evicts an old woman from her home finds herself the recipient of a supernatural curse. Desperate, she turns to a seer to try and save her soul, while evil forces work to push her to a breaking point. How much fun is this movie?! It's full of comedy, horror, gross-out gags, and one powerful curse. To tell you the truth, I never really considered this a witch movie, but why shouldn't it be considered a witch movie? The gypsy woman recites a spell that makes life hell (literally) for the young loan officer, what's more witchy than than? 16.) Black Death (2010) - Set during the time of the first outbreak of bubonic plague in England, a young monk is given the task of learning the truth about reports of people being brought back to life by a witch in a small village. 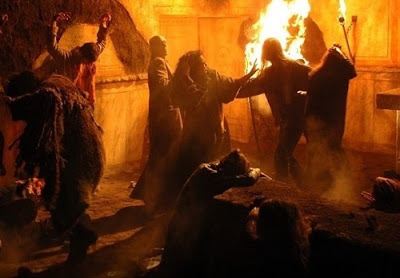 As I mentioned earlier, I adore historical horror films, and this medieval tale about the plague and the belief in witches back then really intrigued me. 17.) The Witches (1990) - A young boy stumbles onto a witch convention and must stop them, even after he has been turned into a mouse. How many kids had nightmares from the witches in this movie? 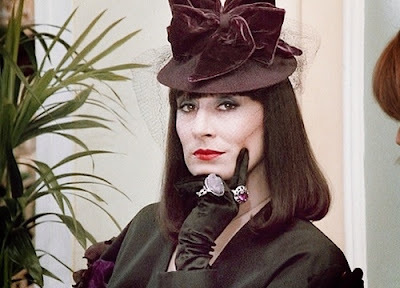 To this day they are nightmare fuel, but Anjelica Houston manages to be both dreamy and terrifying all at the same time. This is such a fun kids' movie, despite being kinda scary! 18.) Mother of Tears (2007) - Grisly deaths await Italian citizens after an archaeology student accidentally releases a witch from her ancient prison. This is the third film in Dario Argento's "Three Mothers" trilogy, and while it isn't as gorgeous as Suspiria or visually memorable like Inferno, I feel like Mother of Tears has a more developed storyline (which probably isn't saying much for an Argento movie). 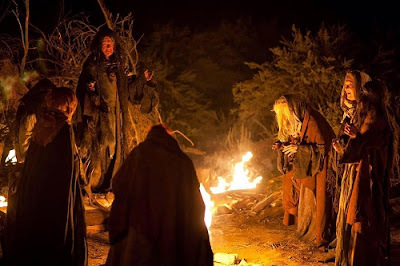 I also liked how it wraps up the story of the three witches, from Mater Suspiriorum (Mother of Sighs from Suspiria) to Mater Tenebrarum (Mother of Darkness from Inferno) to Mater Lachrymarum (Mother of Tears from the film of the same name). 19.) Sleepy Hollow (1999) - Ichabod Crane is sent to Sleepy Hollow to investigate the decapitations of three people with the culprit being the legendary apparition, the Headless Horseman. This movie doesn't come up much when discussing witch movies, but with both light and dark magic taking center stage and some very memorable witch characters (that inspire fantastic witch costumes), I have to say it is one of my favorite witchy movies! 20.) Teen Witch (1989) - A high school nerd learns she is a witch and uses her new powers to get popular and to snag the hottest dude in school...but she soon learns that getting what you want isn't all it's cracked up to be. Ummmm how could I not include this hilarious '80s movie, which includes one of the most epic raps in movie history! It is such a perfect, sweet, nostalgic and fun witch movie to close this list out! Bonus Picks: Haxan: Witchcraft Through the Ages and all the Harry Potter movies (I couldn't pick just one, but all eight would be perfect for a movie marathon!). You could also watch American Horror Story: Coven or Salem television shows (neither the best, but both have good parts in them). 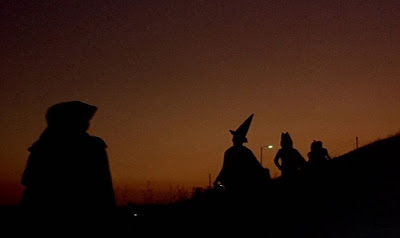 What witch movies will you be watching in honor of Walpurgisnacht? What are your favorite witch movies? Fantastic list! Plenty I haven't seen. I'd like to add Sisterhood of the Night to the conversation. Without providing a key spoiler, I'll say that it deals with every important cultural issue involving witchcraft. That is an awesome suggestion!! 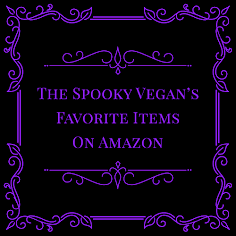 I love that film (and wrote about it previously - http://www.thespookyvegan.com/2015/07/watch-now-on-netflix-sisterhood-of-night.html) and it would be a fantastic addition to this list! I'm sooo into this. I think I'm going to do a lil companion post of my own (will link to you, of course). You already named most of my favorites but I can still think of more! The Witches of Eastwick! come on! that was a fun one! Thanks for the list! Love to see all the movies!